Domestic audiences are rejecting this summer's procession of tired sequels, and international grosses won't be enough to keep studios afloat forever. Take a quick glance at the box-office returns for June, and you could draw an easy conclusion: Hollywood has a franchise problem. Films like Pirates of the Caribbean: Dead Men Tell No Tales, Transformers: The Last Knight, The Mummy, and Cars 3 have all underperformed, each making hundreds of millions less than their immediate forebears (or, in the case of The Mummy, a Brendan Fraser film that came out in 1999). But to think that, you'd have to ignore some of the biggest hits of the year: Wonder Woman, Guardians of the Galaxy Vol. 2, The Fate of the Furious, and Logan, all new entries in long-running franchises. As simple as it sounds, Hollywood has, instead, a bad-movie problem—one that's exacerbated by how easily the industry serves up sequels to the increasingly important global market. The refrain is always the same: Who cares if the fifth Transformers is drawing little enthusiasm in the United States when it's doing well in China? But that defense is becoming more specious, as international audiences are also seemingly growing tired of the endless assembly line of action films, while the biggest box-office story of 2017 is the success of smaller-budgeted original films. The sheer absurdity of this statement hinges on the use of “once upon a time.” In reality, once upon a time, Hollywood probably wouldn't have bothered to make a fifth Pirates movie after the fourth entry, On Stranger Tides, grossed considerably less than the first three, and couldn't even make up its (huge) budget at the domestic box office. Once upon a time, defunct TV properties like Baywatch weren't considered safe bets to be turned into expensive summer tentpoles. Audiences didn't avoid these films because they got bad reviews; they avoided them because they were never interested in them in the first place. The same goes for a fifth Transformers, another Cars movie, or a reboot of The Mummy—the first two were sequels to films that got bad reviews and made less money, signs their respective studios chose to ignore in favor of their overall brand recognition. The latter was an even more audacious gamble, an attempt by Universal to turn a beloved horror film into an action franchise even though its previous efforts (the films Van Helsing and Dracula Untold) along the same lines did badly. Attaching Tom Cruise to star was supposed to carry The Mummy over the line, but instead all it did was further tarnish the box-office reputation of one of Hollywood's last remaining superstars. Yes, almost all of the aforementioned domestic failures are doing well overseas. Pirates 5 has collected $711 million worldwide, Transformers 5 has $435 million to date, and even The Mummy (which has taken a paltry $75 million in America) has made $350 million. Those totals are enough to keep these movies from being true financial catastrophes, but they're all below expectations and smaller than those of earlier films in their franchises. The same, it seems, will go for Despicable Me 3, which opened to $75 million last weekend (versus $115 million for previous entry Minions). But there are plenty of signs of trouble abroad. Transformers: The Last Knight indeed opened to a healthy $123 million in China, but that total collapsed by 75 percent in its second week. More and more, studios are flooding Chinese theaters on their films’ opening weekends to guarantee a huge initial take and offset disappointing numbers in the U.S. But Chinese audiences' enthusiasm for that strategy appears to be waning (as a fascinating Hollywood Reporter look at the Chinese theater experience suggests). Hollywood studios are also partnering with major Chinese studios like Huahua Media and Wanda Film for these roll-outs; as such, their cuts of worldwide box-office numbers are getting smaller. Meanwhile, in America, two of the biggest profit-makers of the year (Get Out and Split) were non-sequels made for low budgets by exciting directors (Jordan Peele and M. Night Shyamalan respectively). Last weekend, Edgar Wright’s Baby Driver, an original, R-rated heist thriller that got rave reviews, outperformed expectations, grossing $30 million (close to its total budget) in five days. The “specialty” release The Beguiled, only showing in 674 theaters, made more money last weekend than The Mummy, which is still on 1,760 screens. Yes, there are big-budget follow-ups at the top of the year's box-office charts, but those were all well-received. Audiences aren't rejecting sequels; they just aren’t rushing to see re-treads of properties they’ve already lost interest in. And it's still not clear if Hollywood is ready to take that message seriously. But there are plenty of signs of trouble abroad. 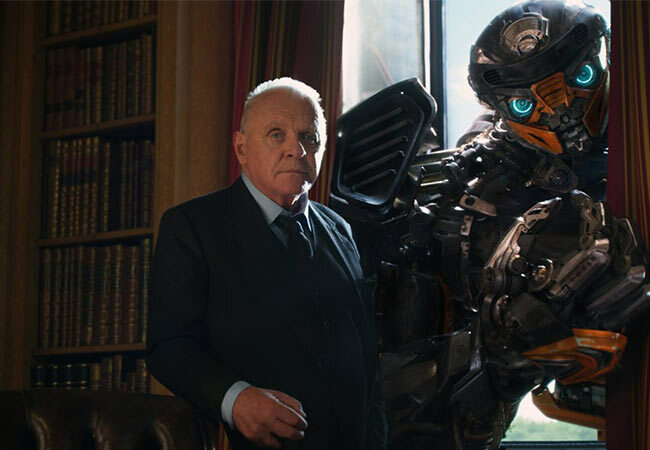 Transformers: The Last Knight indeed opened to a healthy $123 million in China, but that total collapsed by 75 percent in its second week. More and more, studios are flooding Chinese theaters on their films' opening weekends to guarantee a huge initial take and offset disappointing numbers in the U.S. But Chinese audiences' enthusiasm for that strategy appears to be waning (as a fascinating Hollywood Reporter look at the Chinese theater experience suggests). Hollywood studios are also partnering with major Chinese studios like Huahua Media and Wanda Film for these roll-outs; as such, their cuts of worldwide box-office numbers are getting smaller. Meanwhile, in America, two of the biggest profit-makers of the year (Get Out and Split) were non-sequels made for low budgets by exciting directors (Jordan Peele and M. Night Shyamalan respectively). Last weekend, Edgar Wright's Baby Driver, an original, R-rated heist thriller that got rave reviews, outperformed expectations, grossing $30 million (close to its total budget) in five days. The “specialty” release The Beguiled, only showing in 674 theaters, made more money last weekend than The Mummy, which is still on 1,760 screens. Yes, there are big-budget follow-ups at the top of the year's box-office charts, but those were all well-received. Audiences aren't rejecting sequels; they just aren't rushing to see re-treads of properties they’ve already lost interest in. And it's still not clear if Hollywood is ready to take that message seriously.